With a stay at Best Western Hotel Galicya in Krakow, you'll be within a 10-minute drive of Wawel Castle and Main Market Square. This hotel is 2 mi (3.3 km) from Oskar Schindler Factory and 6.9 mi (11.1 km) from Wieliczka Salt Mine. 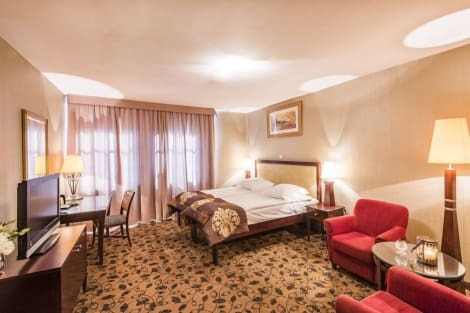 Located in Krakow (Kazimierz), Hotel Regent is within a 15-minute walk of Wawel Castle and Jewish Cemetery. This hotel is 0.8 mi (1.2 km) from ICE Krakow Congress Centre and 1.3 mi (2.1 km) from Main Market Square. The lobby is small. It is on the ground floor at the foot of the stairs up to the far more spacious restaurant on the first floor.